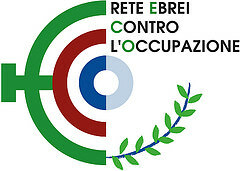 Rete Eco - What ethnic cleansing? “Israel knows the situation in Myanmar better than international organizations and the media. Both sides are committing war crimes. The current situation began after Muslims attacked positions of the Burmese army,” said Israel’s deputy consul general in New York, Amir Sagie, responding to accusations that Israel sells arms to a regime that is committing horrific war crimes against the Rohingya, a helpless ethnic and religious minority. Sagie didn’t bother disclosing the sources that are better than those of global organizations, including the United Nations. It’s obvious that the Foreign Ministry talking points he read out conflict with the known facts about the ethnic cleansing in Myanmar. Presumably the aim was to blunt the criticism of Israel, which sells the goods of its arms industry to any murderous regime. [...] But beyond the desire to pocket blood money, Israel denies the tragedy in Myanmar because it is incapable of acknowledging ethnic cleansing that recalls its own actions. If it were to recognize the Rohingyas’ plight, Israel would be asked to admit responsibility for what it did to the Palestinians in 1948.